Three phase power is a common form of electrical power for larger electrical installations and a popular method of electric power transmission throughout the national grid system. Electricity is supplied to smaller and domestic properties with one live (phase) wire, this should supplies power at around 230 volts (although usually found to be in excess of 240 volts) and requires a neutral conductor (wire) to work. A three phase supply utilises three live wires and the voltage that exists between these live wires is 400 volts (415 volts on the older system). Three phase systems also typically utilise a neutral wire, because most electrical devices are single phase items and are rated at 230 volts, this includes any device that plugs into a 13 amp socket outlet, . Phase balancing is an important consideration when installing a three phase system, this is where each of the phases has as near as possible, equal amounts of current (amperes) flowing in the conductors. Your supply authorities is likely to charge for the installation of three phase power, but once that it is installed the price per unit is the same as that for single phase power, unless a lower price has been negotiated with the supply company. Also, it must be taken into account that three phase consuming devices are usually items that require more power, which is why the power is spread over three separate conductors rather than just one. 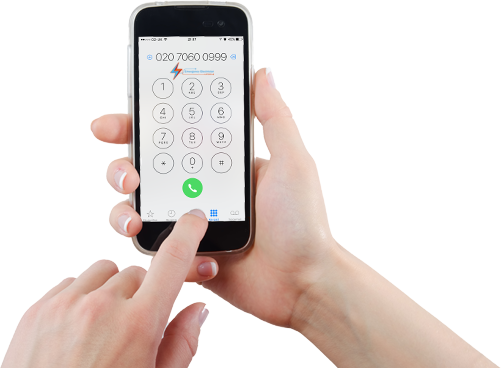 Whether you need a new three phase supply installed, or, additions or advice about your present three phase installation, then Emergency Electrician London can bring to you our expertise and experience, for advice, call us on 0207 0600 999.